Are You a Resident of or Studying in Indiana? The state government of Indiana recognizes the value of continued education, and works hard to encourage and support its residents in their pursuit of a college degree. Through the state’s Division of Student Financial Aid, Indiana administers a variety of scholarships and grants designed to help resident students meet the ever rising costs of a college education. These financial aid programs take many forms. Some are general grants and scholarships that provide much needed funds to students regardless of their major or ultimate career goal. Others are subject specific, and have been developed to encourage students to pursue careers in certain high need professions such as teaching and healthcare. Whether decided on the basis of academic merit or financial need, these financial aid programs share one common goal – to make college more accessible to the residents of the Hoosier State. The first step in applying for any state-based financial aid for college is the submission of the Free Application for Federal Student Aid. The FAFSA is a requirement for all students applying for any Federal or state-based scholarships, grants or loans. The information students provide on their FAFSA application is used to determine their eligibility for any and all government financial assistance. The FAFSA is also used by most colleges, universities, and independent financial aid advisory boards to determine a student’s eligibility for any available grants or scholarships. Indiana residents who are interested in applying for any state-based grants, scholarships or loan forgiveness programs should make the submission of their FAFSA a top priority. The state of Indiana offers a variety of general grants and scholarships for its resident students. These programs are applicable to all college-bound residents of Indiana who are enrolled, or preparing to enroll, in a state college or university. As with all state supported financial aid for college students, programs are subject to change without notice according to availability of funds. The following general scholarships and grants are currently being sponsored by the state of Indiana. The Mitch Daniels Early Graduation Scholarship is offered to students who graduate at least one year early from a public high school within the state of Indiana. The scholarship is valued at $4000, and can be used at any participating Indiana college or university. This is a one time award, and can not be renewed. Students who opt to take the GED prior to graduation are not eligible. The Frank O’Bannon Grant Program, formerly known as the Indiana Higher Education Grant, is a need-based award for high school graduates, or GED holders, who are enrolled in an undergraduate program at a state college or university. To be eligible, students must be enrolled full time in a course of study leading to an associate’s degree. Award amounts vary according to available funding, and the annual number of applicants. The 21st Century Scholars Program provides full tuition scholarships to participating 7th and 8th grade students who meet the income eligibility requirements. Students must enroll in the program while in high school, must maintain an acceptable GPA, and must fulfill a pledge of good citizenship. Recipients of the award will receive up to four years of undergraduate tuition at a participating state college or university. The Indiana National Guard Supplemental Grant is available to eligible members of the Indiana Air and Army National Guard. Grant amounts are based on 30 credit hours per academic year, and recipients must maintain status as a full time student at a participating state college or university. Applicants must be in active drilling status, and must not have been AWOL at any time within a 12 month period prior to enrollment. The Children of Veteran and Public Safety Officer Supplemental Grant provides tuition assistance to the dependent children of disabled Indiana veterans, and to the dependent children and spouses of police officers and firefighters who have been killed in the line of duty. The grant pays up to 100% of tuition costs at an approved state college or university. 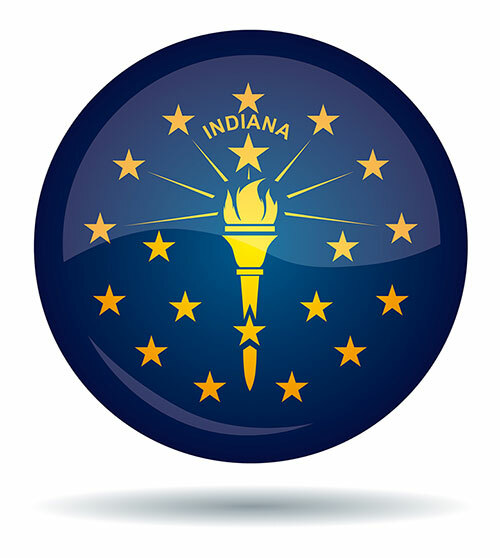 The Indiana Part-Time Grant Award has been designed to provide financial assistance to students who are enrolled for at least 2 credit hours, but no more than 12 credit hours, at a state college, university, community college or vocational school. The Part-Time Grant Award is term based, and is renewable for each semester. The minimum award is $50 per term. Like many states across the country, Indiana is suffering from a critical shortage of qualified teachers and nurses. As a way to address the shortfall, the state has implemented two scholarship programs designed to encourage and support students who choose to pursue careers in these high need fields. The following career specific scholarships are currently being offered by the state of Indiana for its resident students. The Indiana Nursing Scholarship was created in 1990 to encourage students to pursue degrees and careers in nursing. To be eligible, students must be accepted to an approved nursing program at a state institute of higher education, must have a minimum GPA of 2.0, and must demonstrate the requisite level of financial need. This is an award-for-service scholarship, and recipients must agree to work at a critical need healthcare facility within the state for a minimum of 2 years. The maximum annual award is $5000, and the scholarship is renewable for as long as the student meets the eligibility requirements. The Minority Teacher/Special Services Scholarship was created in 1988 to address the critical shortage of African-American and Hispanic-American teachers within the state of Indiana. Eligible applicants must be pursuing a teaching certificate at a state college or university. While non-minority students may apply, preference is given to students of African-American and Hispanic-American descent. The maximum annual award is $4000 for minority students, and $1000 for non-minority students. The scholarship is renewable for as long as the student can meet the program requirements. The Indiana Commission for Higher Education is determined to make a college education more accessible to students in the Hoosier State. Through the Division of Student Financial Aid, the CHE administers a wide variety of valuable grants and scholarships designed to make college more affordable for the resident students of Indiana.